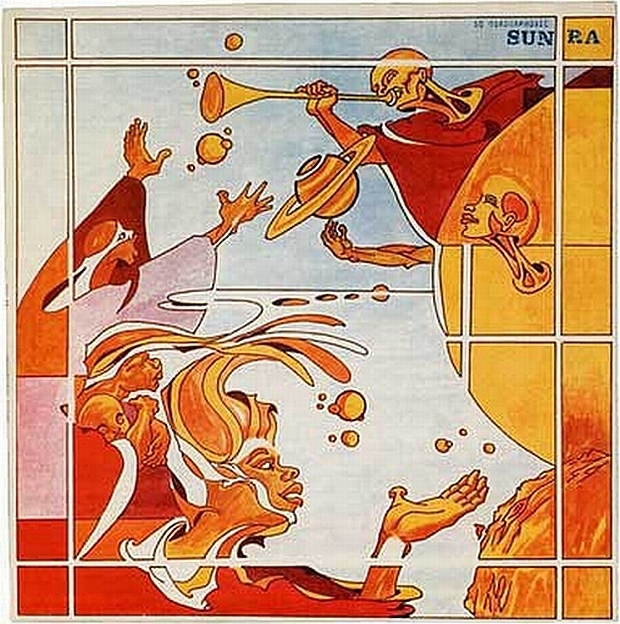 Article on Sun Ra's time in Chicago, starting his own label and Afro-futurism. MUSIC, LIGHTS, ACTION!!!! Atonal reality and blended rhythms. . . .
With wings unhampered Unafraid Soaring Like a bird Through the threads and fringes of space and time Into a better To-morrow. . . . . . . .
(Design Observer) April 13, 1956, Chicago. Sun Ra and his friend and manager Alton Abraham arrive at Balkan Music Co., a small record and musical supply wholesaler at 1425 W. 18th Street, in the neighborhood now known as Pilsen. Helping the other seven musicians unload, they file into the storefront, which doubles as a recording studio, to record the first full-length session for their new label, El Saturn Records. The cosmic roles are written in sundry parchments tinted with fire blue vibrations of pulsating flame energies...G-force dimensions abstract planes of sound and sight. MUSIC, LIGHTS, ACTION!!!! 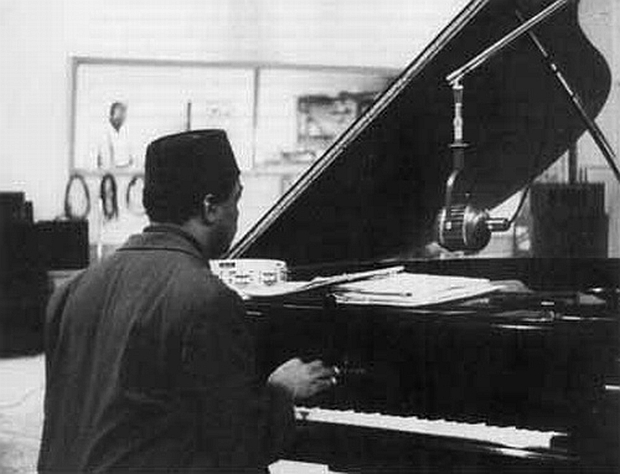 Atonal reality and blended rhythms. . . . Imagination . . . . . .! With wings unhampered Unafraid Soaring Like a bird Through the threads and fringes of space and time Into a better To-morrow. . . . . . . . Loosening the chains that bind. . .